Q. How do I submit a video using Capture Space? The most efficient way to manage all of your Media is through the My Media module on your Blackboard Homepage. If you do not see the My Media module on your My Institution page, you can click the Add Module button to locate it. You will find it in the “Other” category. 1. Click My Media from your Blackboard Homepage. 2. 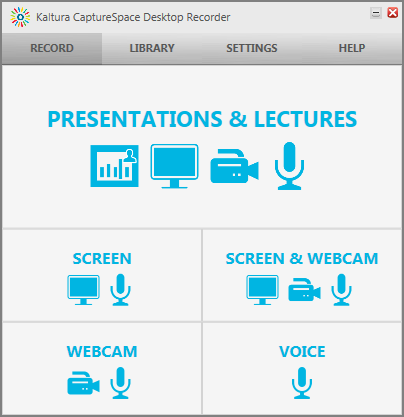 On the My Media page, click on the Add New menu button and select CaptureSpace. 3. 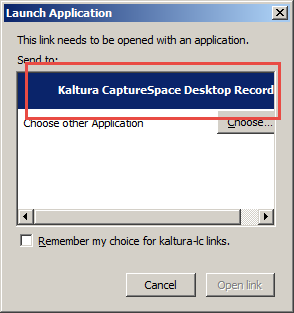 The first time you access CaptureSpace, you will be prompted to install it. Refer to these download instructions. 6. 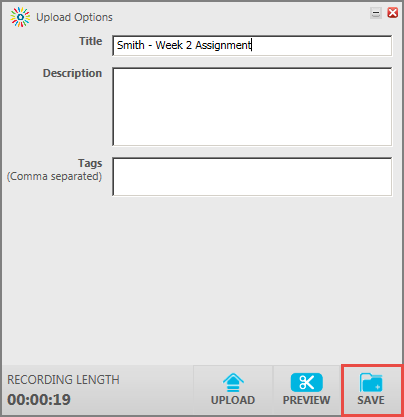 When you are finished with your recording, click the Done button. A preview will be displayed along with a few simple editing options. Click Done again to change the title of your media and add a video description and tags (optional). Then click the Save button. 7. You must then upload your video. 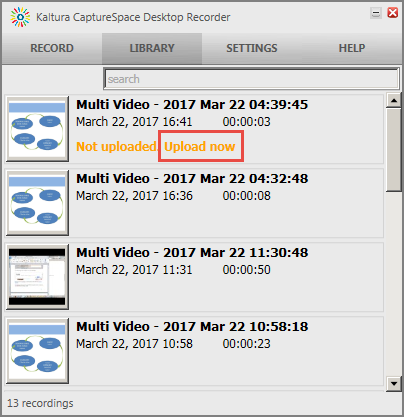 If you do not upload it right away, your video will remained saved within CaptureSpace indefinitely and you will have the ability to come back and upload it later. 8. Click Close to remove this window. The upload will continue. 9. You should then receive a confirmation page when the upload is complete.